Your home while birding the pristine Southern Caribbean Lowlands of Costa Rica! 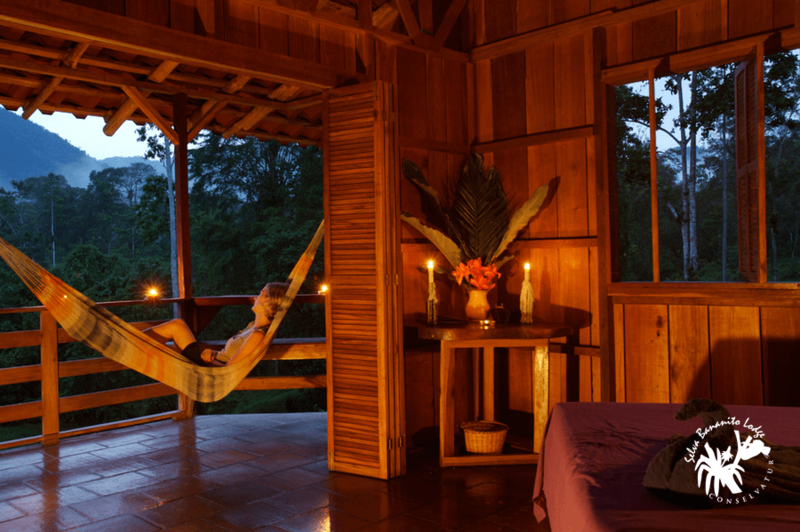 Selva Bananito Eco Lodge is an extraordinary example for ecotourism: nature and adventure tourism services nestled in a pristine region of Costa Rica’s South Caribbean area, the Talamanca Mountains. Our Private Reserve, Selva Bananito, is an important buffer zone or transition area to the “International Park La Amistad”. Selva Bananito Ecolodge has achieved world wide recognition as an example for Costa Rica ecotourism. Located at the upper Bananito River watershed in the beautiful province of Limon, Costa Rica. It will take about 3 1/2 hours driving time from the capital city San Jose to reach our pick up point “Salon Delia” in the town of Bananito. Bananito means little banana and is the name of the river that is born in our Private Reserve Selva Bananito. Selva Bananito Eco Lodge offers: spacious, elegantly tiled bathrooms with solar heated water, ample decks with spectacular views and comfortable hammocks for your “siesta”, each tastefully designed cabin features one queen size and one full size bed, or two queen sized beds. Birding is one of the top activities in the lodge grounds and the region where happens one of the biggest raptor migration in the world during Winter and Fall.